Reach for a Little Marc Jacobs denim shirts and grey jeans for your little angel to create a smart casual look. 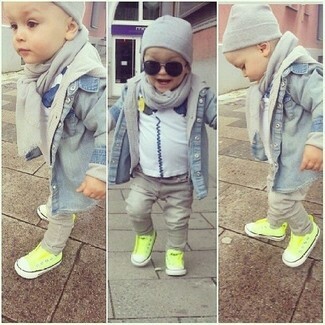 Green-yellow sneakers are a wonderful choice to finish off this getup. 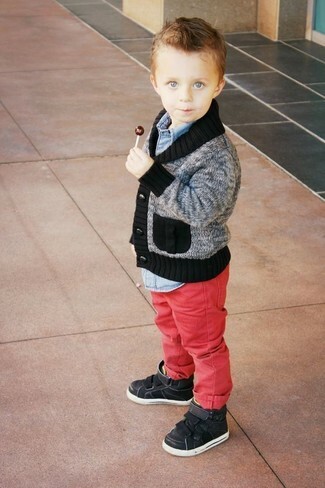 You'll have no problem tempting your kid into wearing this combo of a Little Marc Jacobs denim shirts and red jeans. This ensemble is complemented brilliantly with black sneakers. 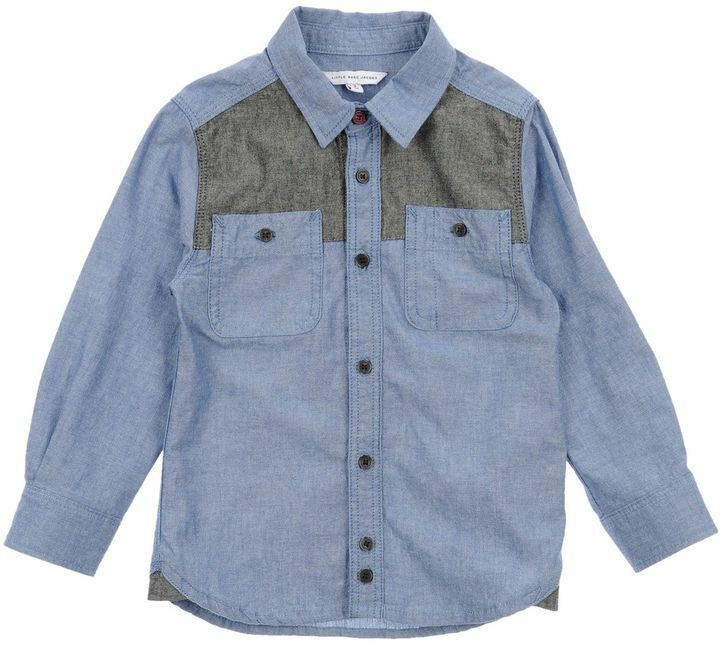 Suggest that your child dress in a Little Marc Jacobs denim shirts from yoox.com and black jeans to get a laid-back yet stylish look. Tan boots are a wonderful choice to finish off this ensemble. 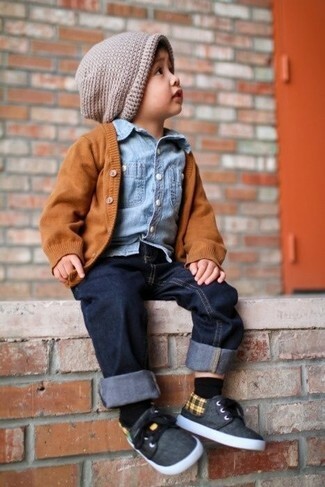 Dress your child in a light blue denim long sleeve shirt and navy jeans for a dapper casual get-up. As far as footwear is concerned, suggest that your boy throw in a pair of charcoal sneakers. Busy days call for a simple yet stylish outfit for your little guy, such as a Little Marc Jacobs denim shirts and beige jeans. Navy sneakers are a savvy choice to complete this getup. For an everyday outfit that is full of character and personality suggest that your little angel wear a Little Marc Jacobs denim shirts and grey jeans. 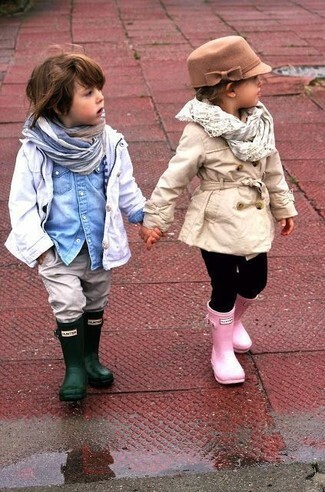 Complete this look with dark green rain boots. Reach for a Little Marc Jacobs denim shirts and charcoal jeans for your child to get a laid-back yet stylish look. 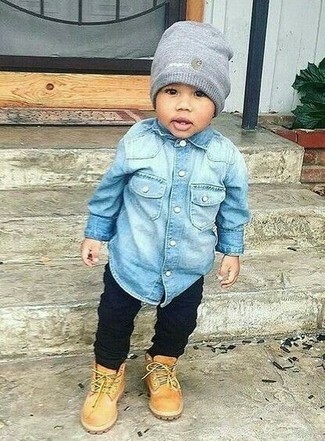 As far as footwear is concerned, let your little guy throw in a pair of blue sneakers.